Barworld has a rich legacy of manufacturing bullbars from strong and robust material which ensures complete safety of the vehicle and protects it from any major panel damage. 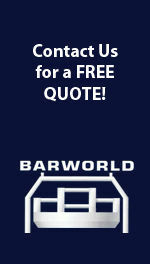 Barworld provides tailored designs suited to the need of the make and model of the vehicle. 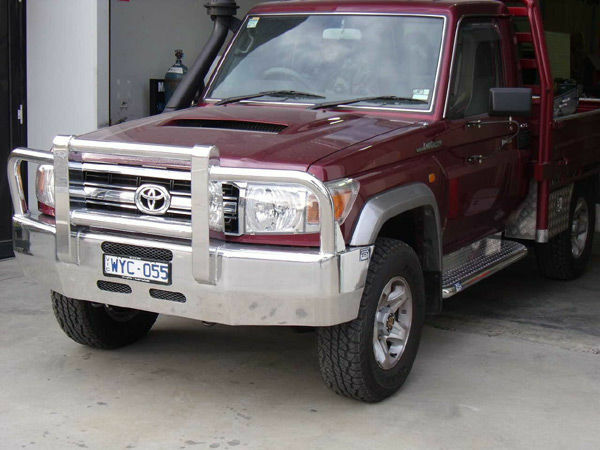 At Barworld (VIC) Pty Ltd based out of Melbourne, we have over 10 years experience in the manufacturing of Aluminium Bullbars, Truck Bullbars, Ute Bullbars, Bumperbars, Ladderbars, Sportsbars, Roofrack, Sidesteps, Repairs & Custom work to suit your requirements. 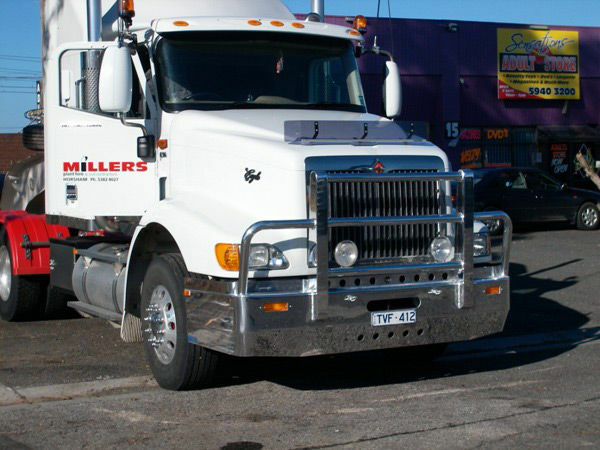 Bullbars are tubular and extrusion constructions made of Aluminium that fits on the front of your truck or SUV, just beneath the grille. Bullbars from Barworld are excellent accessories which provide additional protection for your vehicle without compromising on style and flair. Bullbars act like a spring or deflector which absorbs the impact of a collision so as to minimize the damage to both vehicle and the passengers inside. 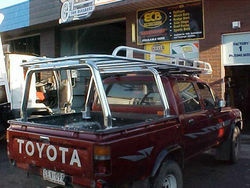 In rural areas, the bullbars are used to protect the vehicle from animal collision. 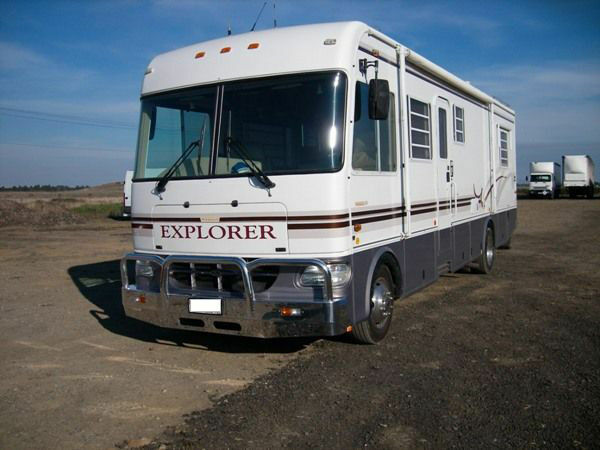 It also safeguards the vehicle from scrubs and bushes when driven off-road. Polished 4 post deep deam with kickrail. Roof racks are an off road accessory that can make your travels more pleasurable and convenient. Roof Racks from Barworld are fabricated from strong and robust materials to keep your additional luggage safe. It allows you to carry bulky luggage like; bicycles, sports equipment or business wares without damaging your car top. 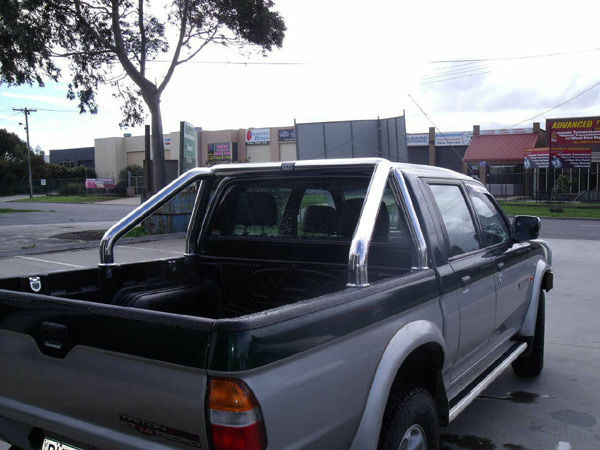 Nudge Bars are off road accessory that can provide vehicle owners added protection. 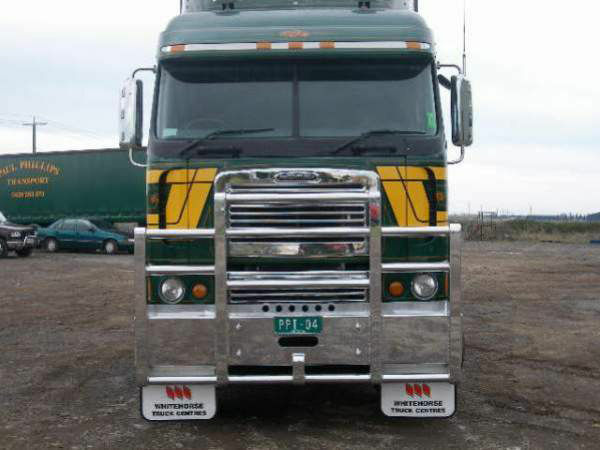 Nudge Bars from Barworld are fabricated from strong and robust material to protect your expensive vehicle from likely damage. It allows you to breeze through roads with confidence ahead keeping the front, the most expensive part of the vehicle. 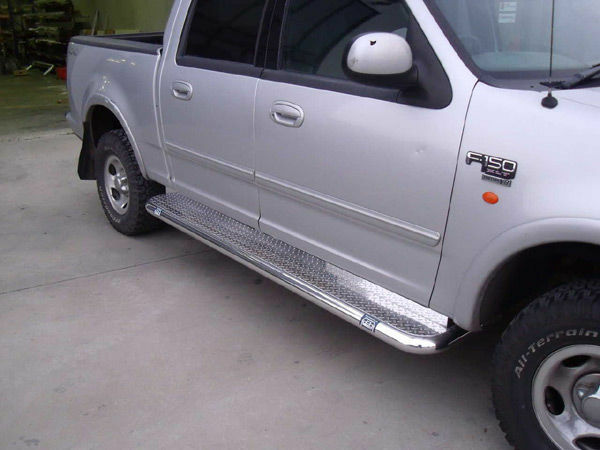 Side Steps are the most sought after off-road accessory by vehicle owners who prefer comfort and convenience getting in and out of their automobiles. Side Steps from Barworld are fabricated from aluminium for both comfort and rough use. Barworld can provide with any kind of finish - silver finish, polished finish, checker / propella plate finish. Anything you desire.